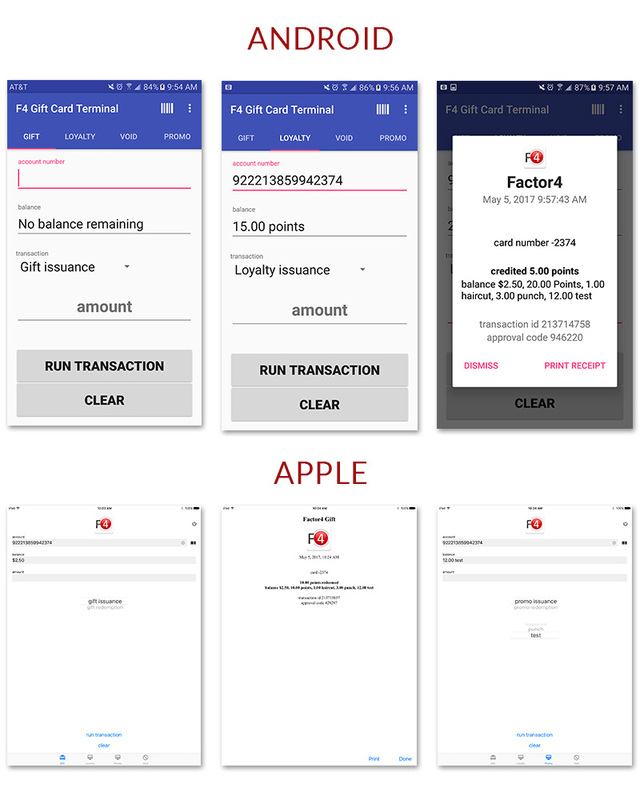 Factor4’s Free Mobile Apps enable merchants to process all Gift & Loyalty transactions on all Apple and Android devices. Our White Label Program allows merchants to have their own branded mobile apps. Complete the form below to learn more. We can set up a demo of our mobile app capabilities.